YB 616 nicknamed ‘Takeldoos’ ,at Haarlem, Holland 2008. 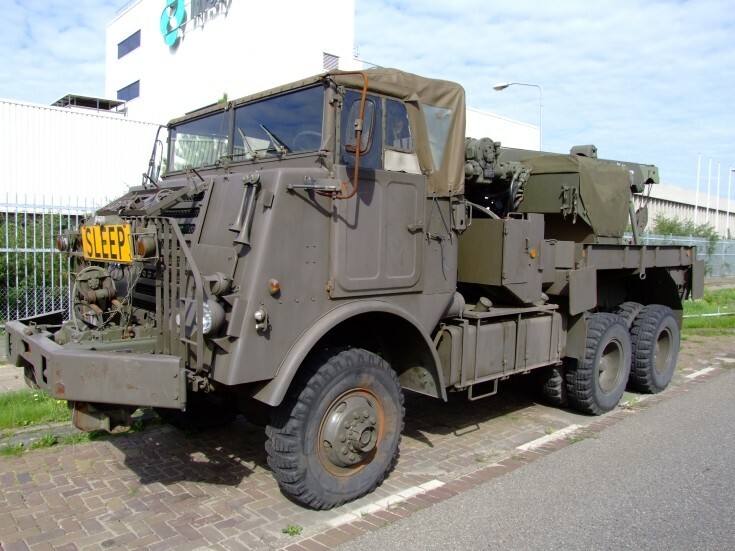 Editor: the DAF YB-616 is the tow truck version of the YA-616, a military truck built by DAF in the 1960s. It was known for its sturdy build (weighing over 15 tons) and for its thirst, one litre to one kilometre. Added by Fazer9553 on 25 January 2011. Added by AlfvanBeem on 25 January 2011. Added by Fazer9553 on 31 January 2011.